The mystery of where the battle-scarred ship lies has puzzled treasure hunters for centuries. According to local folklore, the vessel - laden with gold, jewels and priceless historical artefacts - is at the bottom of Tobermory Bay. 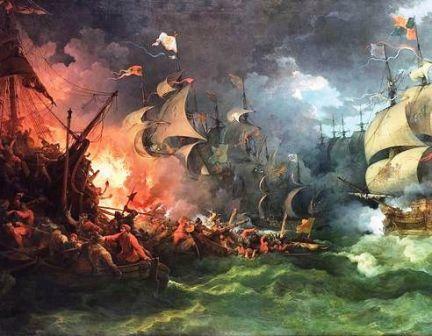 Following the armada's defeat at the hands of Sir Francis Drake, many Spanish ships fled north to escape the English fleet, but became caught up in violent storms. Exactly how the Almirante di Florencia or the San Juan de Sicilia - the vessel's exact identity has never been established - foundered is unknown.